Stunning life-like diffuser from Cote Noire, which both look and smell completely real! A paradise for the senses. This brand new scented faux flower infuser is beautiful in every sense! 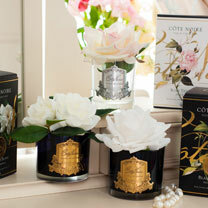 It smells divine and looks gorgeous in any home. 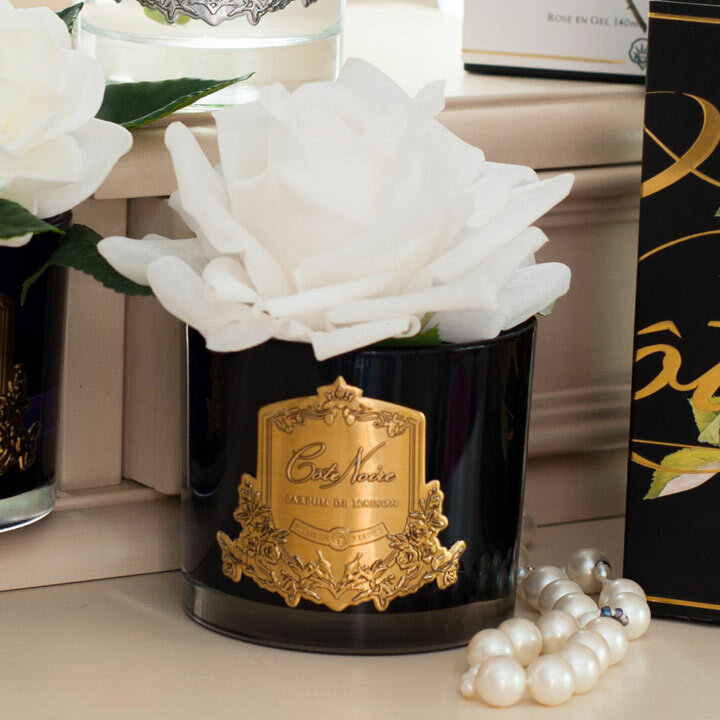 Packaged exquisitely this incredibly realistic silk rose looks amazing in its glass vase. it comes with a top up of spray scent so you can revive the fragrance lasting for ages. Enclosed with your natural touch flower is a bottle of perfume (10ml) which you can spray directly onto the flower to refresh and enhance the scent. The unique non-toxic coating absorbs the fragrance and slowly releases into your home. Gift boxed. Care instructions: Do not water and never saturate the flowers. To avoid fading, keep away from sunlight. Indoor use only. To clean, lightly wipe with a wet cloth and a mild detergent then allow to air dry.